A Little Hut - Patricia Zapata: a nutcracker in july! Before I disappear for a few days I got the crazy idea that I needed to work on a Christmas project—of all things! 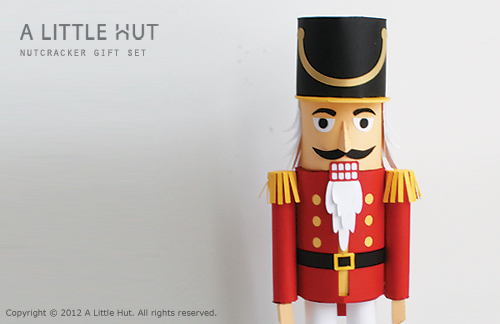 So here it is... a Nutcracker Gift Set. 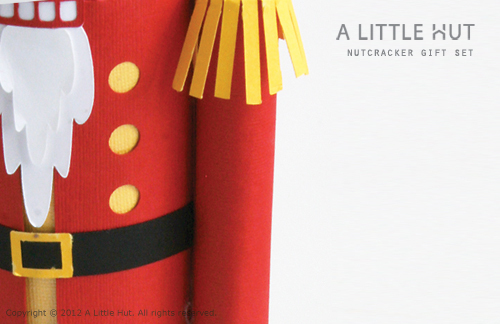 The base of the nutcracker is a matchbox where a gift card or candy are easy to slip in. I had sooo much fun with this project (I know... I do say that almost about everything I do... but it's always true). It felt like a geometry (the only part of math I enjoyed in school) and paper crafting party for one. You get to enjoy the latter on your own or with friends. It's a deceptively simple project to make—seriously. 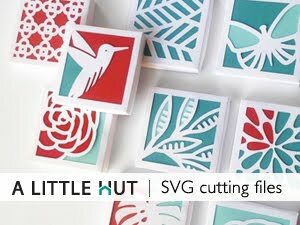 Just stay organized with your cut paper and the PDF instructions that are included should help you with the rest. I've also included a nutcracker tag and card with the set. My little C is already requesting a girl Nutcracker! Any other requests from you? To order this set simply visit my shop here. There are other graphics that I've quietly added in the last few days so you may want to check out the New section of the shop too. FYI - This project is going to be an ALH exclusive and will not be sold in any other 3rd party shop.